Adoption Process - Site de europe4strays ! To adopt a dog is a big decision that shouldn't be taken lightly. You will spend a lot of your time each day to train, excersice and socialize your new four-legged companion. If you are ready to take this long term commitment, please give a look to the -Dogs for Adoption- page and fill up the application form to let us know about the dog you are interested in. An adoption fee and home check will apply. Once we received your form, we will get in touch with you for a first telephone conversation to learn more about you, about your lifestyle and to talk about the dog you have chosen. Homecheck will be given by one of the nearest europe4strays member to your area. To apply to adopt a Europe4strays dog please fill out our application form here. 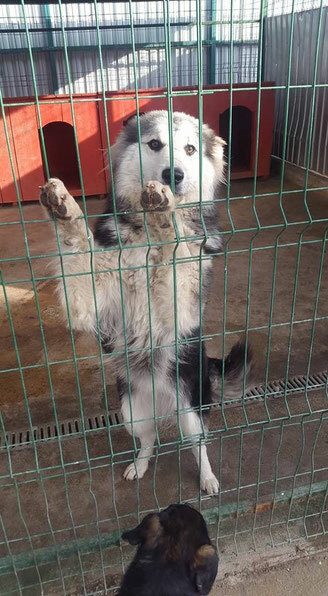 After the Home check is approved, it will take aproximately one month to prepare the dog located in a Romanian private shelter. Vaccin Nobivac against parvovirus and distemper is 8 euro. The kennel cough is included in the passport price together with the rabies vaccine, and the microchip which is about 30 euros. Spay/neuter is 20€ for males and between 25€ and 40€ depending on the weigth of the dog ( as the sedative is expensive).